This event is now finished, but look out for our next one. Sunday is Fun Day at Berkhamsted. 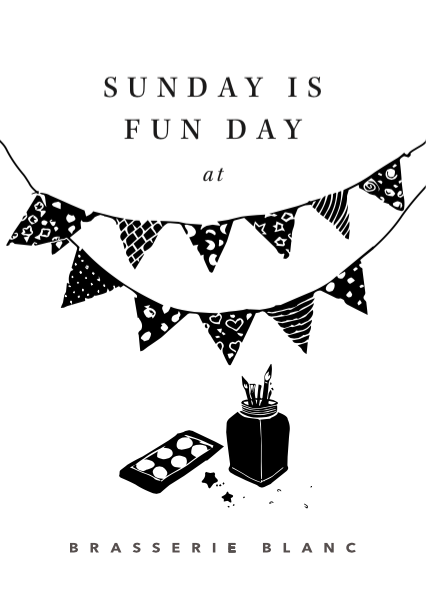 And our next Fun Day promises to be the best one yet. Our staff will be going all out with a FROZEN theme. Join us on 1 February from 1pm-4pm and let us look after your little characters whilst you enjoy your meal. As always dressing up is allowed, encouraged, even expected! By our staff anyway. But you can come as you feel most comfortable. Oh yes, and for the grown-ups we have our fabulous Sunday roast to keep you busy, along with delicious seasonal favourites from our Winter à la carte menu.